Does the alluring Chicago is making you excited? Pick all the best outfit of yours, pack your backs and get ready to visit the world’s most spell blind tourist destination. The millennium park will give you refreshment with astonishing architecture. The breeze of the Mississippi would fresh your mind when you by the side of the river banks. Many of the places, beautiful cities and beautiful villages in the world a traveler must visit. Give your tongue a twist with the spice of the yellow mustard and sports peppers. Chicago has many prominent places to visit and cherish with its grace. But there are some things which have to be remembered while we are on a trip to Chicago. First of all, make sure that you have a comforting suit on your bag based on the month which you visit. Since the climatic condition in Chicago are extremes. Summers are too hot to handle and winters are too cold to be bare. Never ask for ketchup for your hot dog. This is an easy way to project as you’re a tourist. Enjoy the taste of the beef with mustard paste which generally Chicago people do. Don’t even think about visiting Chicago in winter. Probably you will end up in sitting with the blanket around you at your room. As I already told that Chicago is too cold in the winter season. 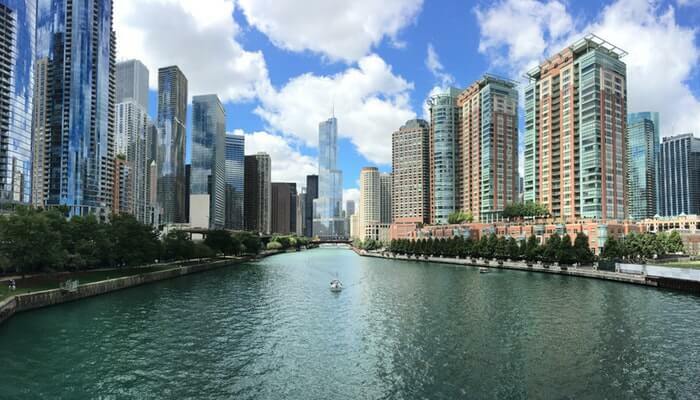 Experience the beauty of Willis town, marina city and merchandise mart and more building by sailing in the boat on Chicago River to witness the phenomenal architecture of the Chicago city. Remember the payoff view in the John Hancock tower is not chargeable. Enjoy the city view from the 96th floor without spending even a single penny from your pocket. It is better to take public transport to roam in the city rather riding in a rental car. Since the garages and the parking area are costlier due to the climatic condition of the city. Do not mess the way near a lake, many would be cycling and jogging to witness a ravishing site of the lake. So just sit back and grace its charm. If you’re a beach lover then don’t wait. Just pay a visit to all the beaches to get into the fun. The city has numerous small and beautiful beaches. Shopaholics don’t go empty-handed, try out the branded and variety of designer outfits in the magnificent mile. Tourists never leave the city without making a visit here. Don’t stick on to one particular shop. Rather try most of the boutiques for more designs. Many of the other fantastic things you can do in Chicago in a very cost-effective manner. Bike riding, comedy show and a lot of enjoyment during free greeter tour you can do in. So be prepared yourself for and stand-up and incredible tour of Chicago. Happy Journey! !